BLOW OUT SALE!!! 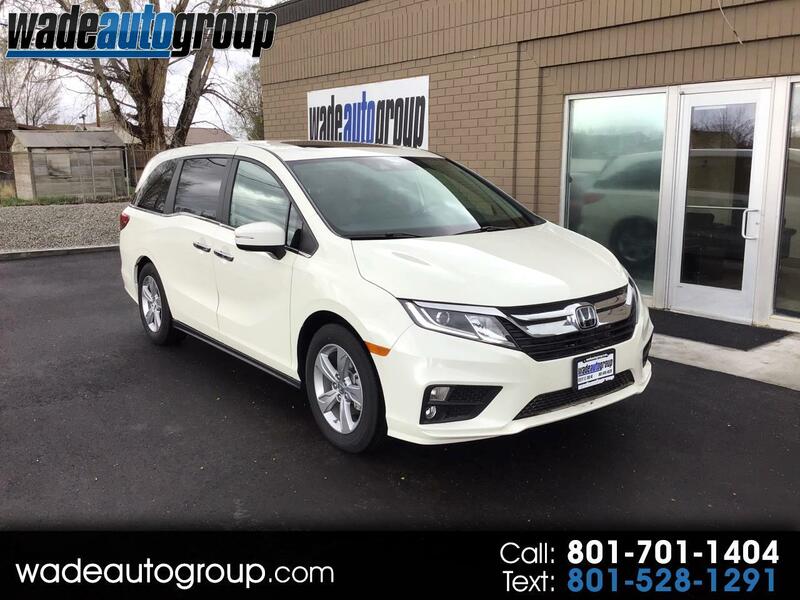 2019 HONDA ODYSSEY EX-L w/ DVD, Navigation, 3.5L V6, White w/ Black Leather Interior, Only 10 Miles!!! Factory DVD, Navigation, Sunroof, Adaptive Cruise Control, Back-Up Camera, Blind Spot Monitor, Bluetooth Connection, Cross-Traffic Alert, Heated Front Seats, Keyless Start, Lane Departure Warning, Lane Keeping Assist, Power Liftgate, Smart Device Integration, NON SMOKER, NO ACCIDENTS, This van is a brand new van, HURRY IN!!! Auxiliary Audio Input, Keyless Entry, Remote Engine Start, Steering Wheel Audio Controls. Here at Wade Auto Group we sell quality vehicles at low prices. This car has a CLEAN TITLE. Call now or visit us at www.wadeautogroup.com WADE AUTO GROUP 12277 South 700 West Draper UT 84020 ''You've got it made with WADE'' WE BUY TRADES.....Extended Warranties available, call for more informatioN.